SACRAMENTO — The California High-Speed Rail Authority’s board took a “momentous” step Tuesday toward unlocking billions of dollars in state bond funds that it needs to continue construction in the San Joaquin Valley and on the San Francisco Peninsula, reported the Fresno Bee. 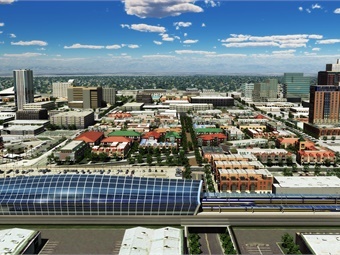 Board members approved funding plans for the Central Valley and San Francisco-San Jose segments, as well as authorizing the issuance of a “request for qualifications” from potential train-operating companies to guide the planning and earliest stages of operations for the bullet train system between the San Joaquin and Silicon valleys, the report said. In the funding plan for the San Joaquin Valley, the authority estimates that it will take $7.8 billion to build what it describes as a fully electrified test line where it will eventually conduct trials of its electric trains at speeds above 200 mph, according to the Fresno Bee. For the full story, click here.